When we talk about Vlada Asanin ( also known as Vlada DJ ) we are talking about one in a few people whose aim is not only that house music is heard in Madrid,but that it is felt and lived. Vlada is one of the most important Djs at the moment in Madrid ( Spain). Vlada Asanin lives and Works in Madrid but he was born in Serbia ( Old Yugoslavia ) As a producer, Vlada Asanin is also known like Vlada DJ . Like Vlada DJ - Everyone defines his music as progressive house. and like Vlada Asanin – House with touches of Tribal and Tech. 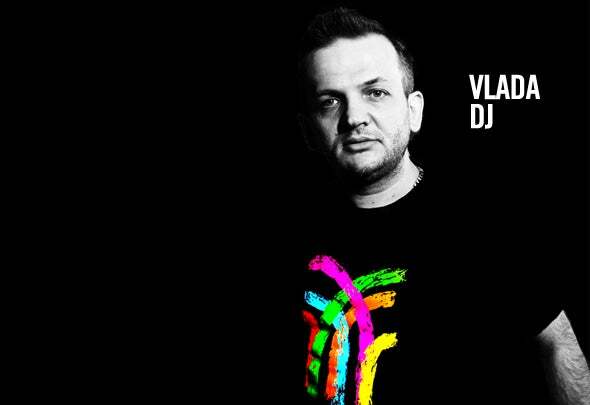 Vlada is also co-founder of two Records Companys " MADCity Records & Crystal Sound Records " along with a JP Candela. Mijail, Carlos Agraz, Niko Oveda, Julio Leal, Javi Always, 69ers, Alexander Dennon, Julian Guarque, Miguel Bastida, Javier Cardona, Alonso Brown, Ivan X, J. Mirgi, T. Tommy, Edu Castillo, Mr. Danny, Carlos Roll, Alba, Jordi Tek, Freddy Lopez, Criminal Night, Nalaya Brown, Alexic Rod, Sergi Moreno, Ruben Tortosa, Ismael Padilla, Vlada DJ, Juan Rey, Priscila Due, Massive Producers, Andres Campo, Tonet Marza, Electrobeat, Blas Marin, Mascu, Robert Morr, Franz Xaver, Alex Barroso, G-Martin, Vicente Belenguer, Jo Cappa, First Mike, Aitor Galan, Vincent McFly, Jossy C.